FINAL SALE. 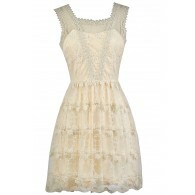 The horizontal bands of lace on this dress add dimension to this simple, classic cut. 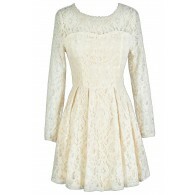 The Lace In Line Dress is lined, except for the neckline and sleeves, which are semi-sheer. It is made of a semi-sheer mesh fabric with a pattern of lace stripes. This dress has a rounded neckline, three quarter sleeves, and a flowy cut. It looks nice paired with pumps or wedges and some pretty jewelry. Try wrapping a fabric sash around the waist to create a contrasting look. Details: Lined except at neckline and sleeves. 60% cotton, 20% polyester, 20% rayon. Hand wash cold. Do not bleach. Flat dry. Small measurements: Length from top of shoulder to hemline: 32". Bust: 32". 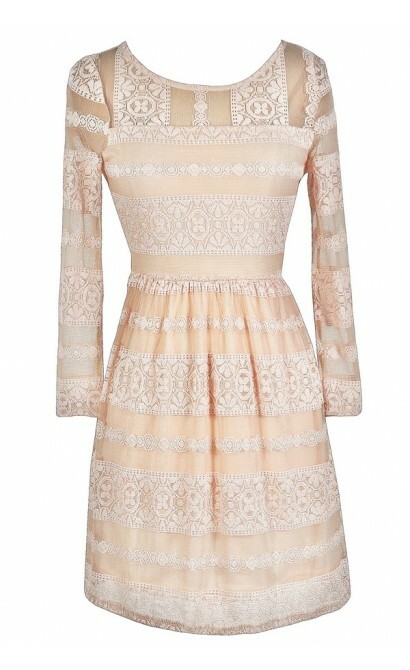 You have added Lace In Line Dress in Blush into Wishlist. 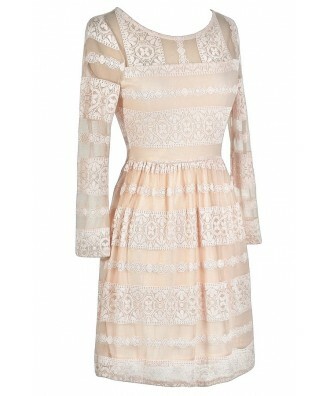 You have added Lace In Line Dress in Blush for Stock Notification. 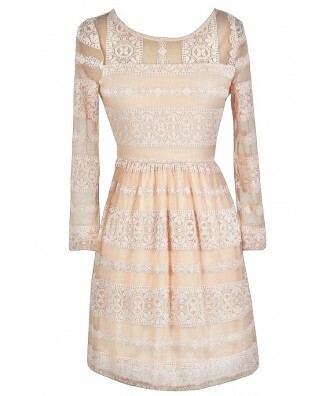 You have set Lace In Line Dress in Blush as a loved product. 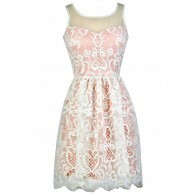 You have removed Lace In Line Dress in Blush as a loved product.